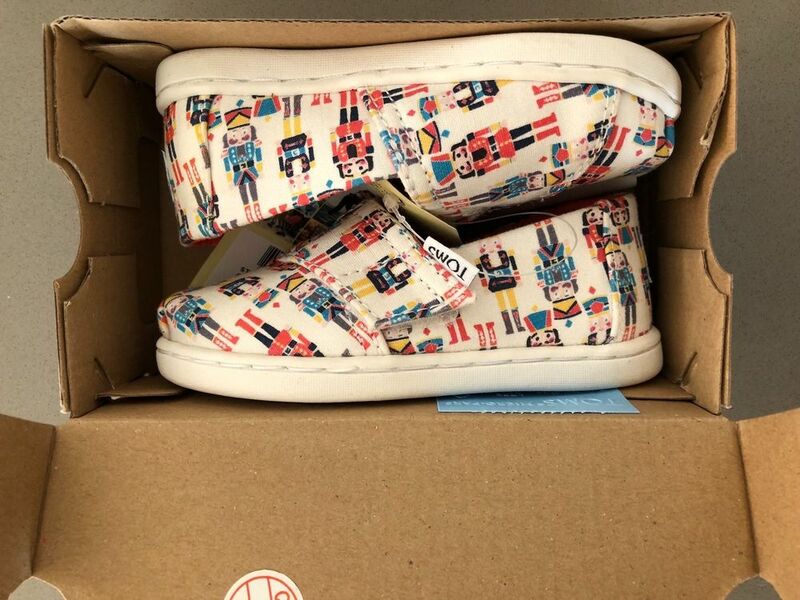 New pair of Toms kids (tiny Toms) in the original box with tags. Size 6 (Toms), size 5UK/22EUR. With nutcracker print. We bought two of the same one by accident.